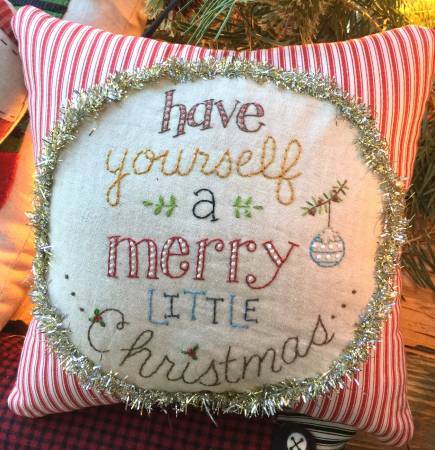 Fabric and floss kit for the vintage Have Yourself a Merry Christmas Pillow form Bareroots pattern #237 Little Christmas Pillows. Kit includes all fabrics, floss and tinsel needed for this project. Pillow size approx. 8in x 8in. Pattern not included. This item begins shipping December 17, 2018.